Hundreds of homeowners and business people, frustrated over drug and property crimes, are hiring their own security patrols to curb what they see as a long-neglected problem. For Angie Gerrald, crime in Seattle’s Ballard neighborhood has reached a new low. From illegally parked RVs to open drug deals, the longtime resident sees piles of used needles on her routine runs, she said, and other problems she says police sometimes ignore. Hundreds of residents in Ballard, Queen Anne, Magnolia and Fremont share Gerrald’s frustration over crime and police response near their homes and businesses, and it’s sparked a citizen-led movement to improve surveillance. 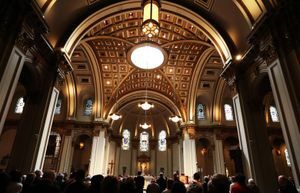 They cite incidents of burglaries, thefts and illegal drug use over the past year, for instance — crimes they believe are rising with the city’s growth. Crime data support their complaints, to some extent. Since 2010, police have seen an increase in property-related incidents in Ballard, Queen Anne and Magnolia, though 2015 saw no spikes in such reports, according to the police department’s online crime dashboard. Those crimes include burglaries, larceny and motor-vehicle thefts. According to a preliminary analysis of data for all crimes citywide, authorities estimate a 10 percent decrease in 2015, though they’re still tabulating final numbers, Seattle police spokesman Sgt. Sean Whitcomb said. Some city officials and residents believe complaints on social media about crime also may be fueling concerns. 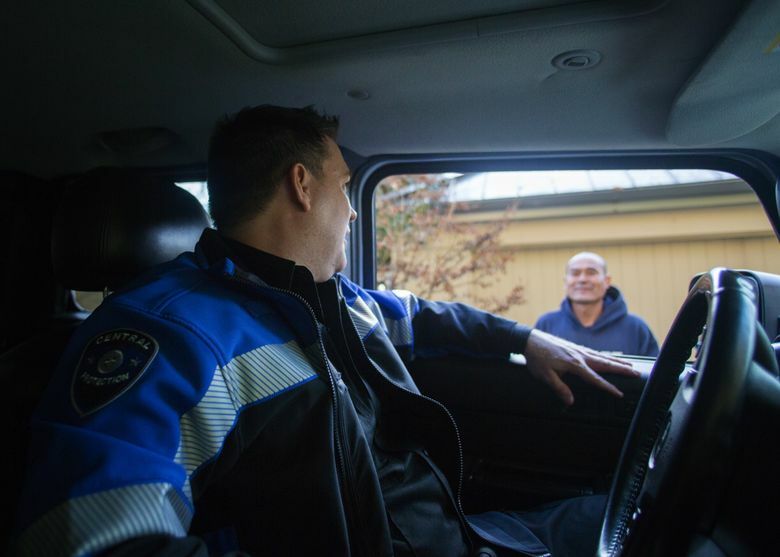 Regardless, a handful of Seattle neighborhoods are taking crime prevention into their own hands by hiring extra security patrols in the form of off-duty police officers or private security personnel. Magnolia launched its own patrol program in December, the latest Seattle neighborhood to organize and pay for extra security, and now some Queen Anne residents are making plans to start a program. Seattle Mayor Ed Murray unveiled a plan on Tuesday to dedicate two parking areas for dozens of people living in RVs and other vehicles, a move that follows outcry from some Ballard residents over crime around the vehicles near their homes. 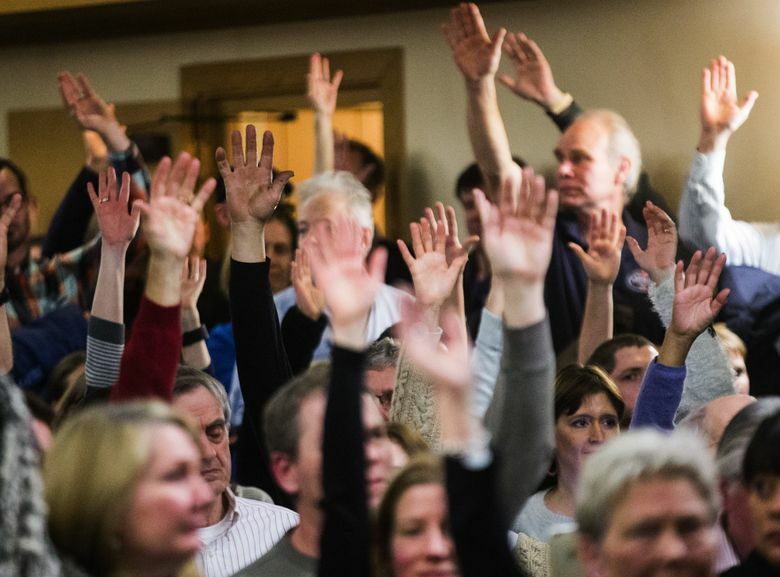 Many of them voiced their grievances at a standing-room only meeting earlier this month, joined by others from neighborhoods including Queen Anne and Magnolia. 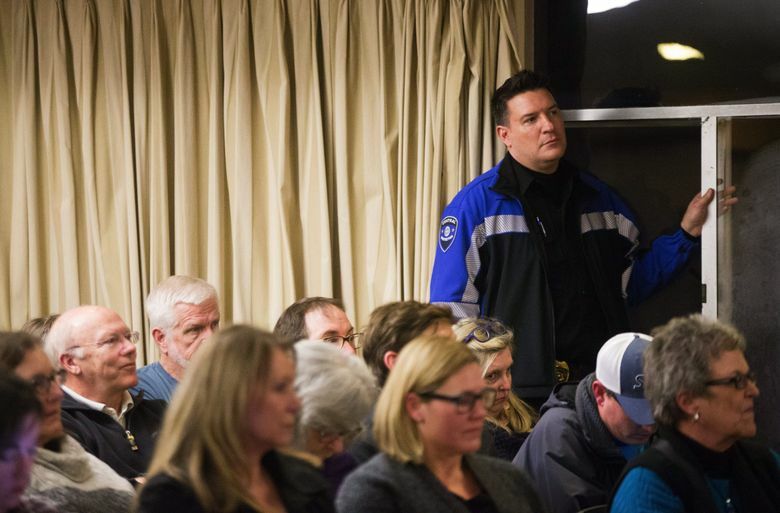 Amid shouts and jeers, residents called for more Seattle police patrols near their homes and businesses, faster officer-response times to 911 calls and more help from the city cleaning up waste and debris. Brad Renton, president of the Whittier Heights Patrol Association, started his surveillance service about a year ago after repeatedly “hearing the same old lies” about the police department’s plans to boost manpower, he said. “SPD is a wonderful group of guys. They’re just getting overwhelmed,” he said. “You’d like them to be there for you, and they are there, but they have to be there for the important stuff,” not necessarily nonviolent crimes. 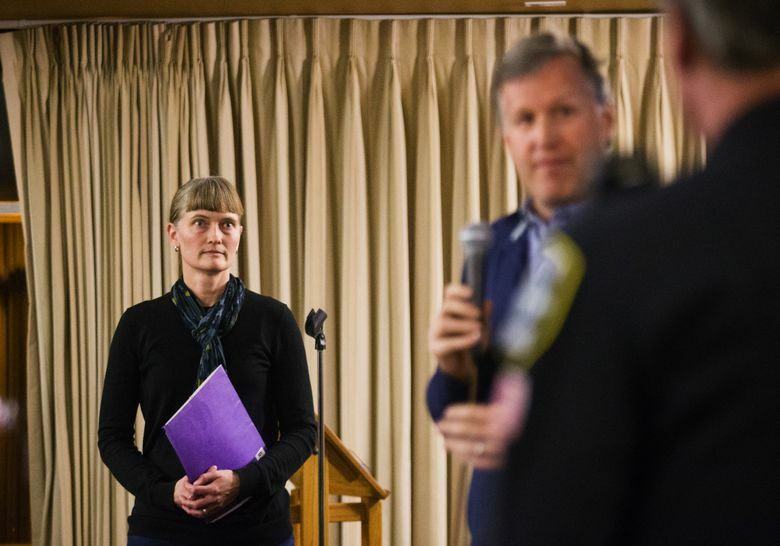 The patrol project came into motion after Renton heard residents’ complaints over poor police-response times to nonviolent crimes — symptoms of an overworked department and lack of resources to keep pace with demand, Renton said. The police department employed 1,289 officers last year, an all-time high for the agency, police spokesman Whitcomb said. Officials are now working on a police-staffing report on which to base hiring. 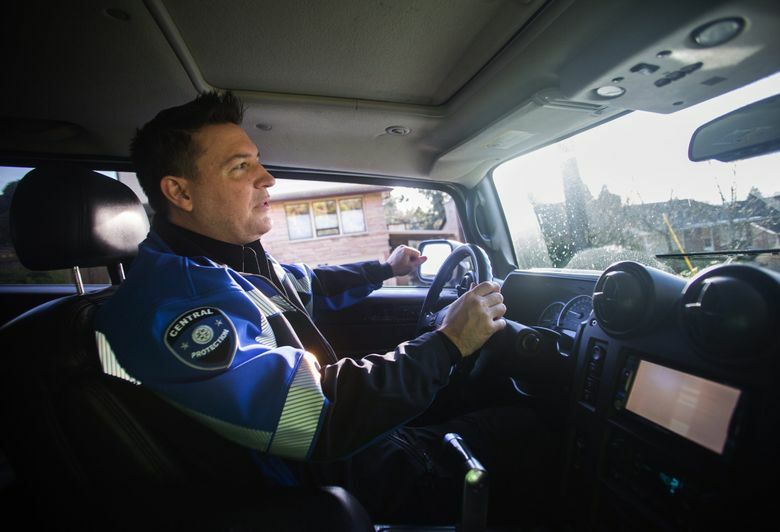 For Renton’s security-patrol service, subscribers typically pay $250 annually for a handful of off-duty police officers to conduct random patrols near their homes and businesses; each contribution pays for four hours of patrolling. Households that choose not to pay still receive the benefit of increased security, though those who pay get additional perks, such as extra monitoring when they are on vacation. The service has grown to 100 subscribers, Renton said, and he believes the increased presence has significantly deterred criminals. Police officers employed in such off-duty agreements work under the same guidelines as they do on duty, Whitcomb said, and they are armed. 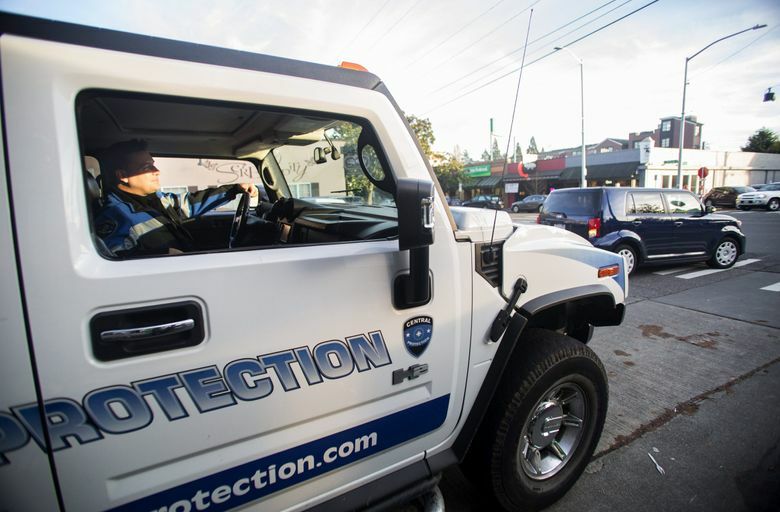 In Magnolia last month, neighborhood leaders went a different route and hired patrols through the private-security agency Central Protection, which offers a variety of security services. Guards drive a vehicle marked with “Central Protection — Unarmed,” and when they spot crime, they call 911 for city police to take over. The neighborhood hired the agency for four- to seven-hour random patrol shifts for four to six days a week, according to the Magnolia Patrol Assocation’s website. Like elsewhere, each $250 contribution from residents and business owners covers approximately four hours, or one shift, of patrolling, according to the site. Donald Decker, an expert in police and security with Robson Forensic, said it’s common nationwide for communities to hire additional security personnel, and they should be properly trained, licensed and adept at dealing with people. The most important factor to consider with such personnel is their limited use of force; they have no more rights than a private citizen, he said. Washington law defines security guards’ license and training requirements, as well as penalties they face for unprofessional conduct. 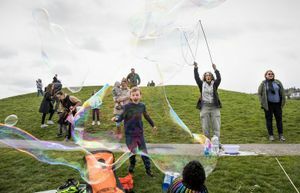 In an interview, Murray said he and other Seattle officials are making strides citywide to reduce overall crime, though property-related crimes remain an issue for some communities. Regardless, he and others suggest that as residents exchange stories about crime on social media, their worries increase. Renters and homeowners use Nextdoor.com and Facebook groups, for examples, as platforms for the discussions. But Whitcomb said police can’t address those concerns unless residents file formal reports. Seattle police organize their patrols based on those formal incident reports. The more calls from an area, Whitcomb said, the more officers are assigned to patrol it. The department finances extra patrols in neighborhoods on an overtime basis; officers are not removed from an area when another receives reinforcement, he said. Gerrald, the Ballard resident, said she’s noticed more police in her neighborhood since the packed meeting earlier this month. And public-safety enthusiasts have scheduled another gathering for Thursday. Murray said he agrees more officers are needed in Seattle. He said after receiving the police-staffing report, he expects to formulize a plan to potentially hire more than 100 new police officers citywide.